Articles from the March 21, 1933, Vol. 14, No. 114, Whole No. 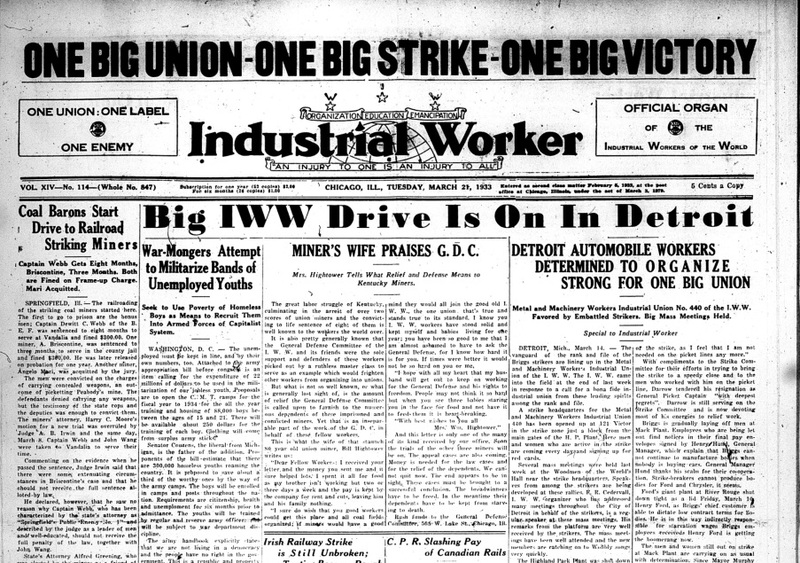 847 issue of the Industrial Worker, the newspaper of the revolutionary union, the Industrial Workers of the World (IWW). -No jobless relief; Chilean slaves sent to hills for "gold"